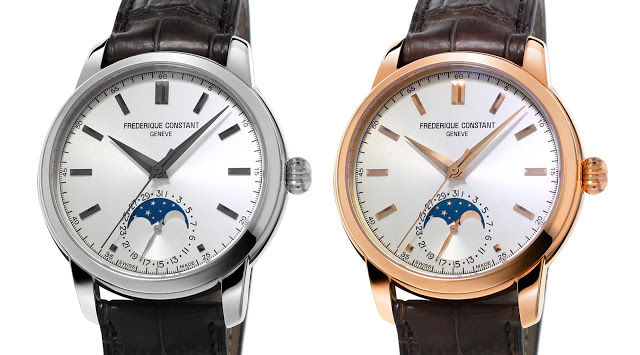 Frédérique Constant's latest in-house movement makes its debut in the Classic Manufacture Moonphase, visible behind the hinged hunter back. And it just happens to resemble a rare and expensive vintage perpetual calendar made by Patek Philippe. 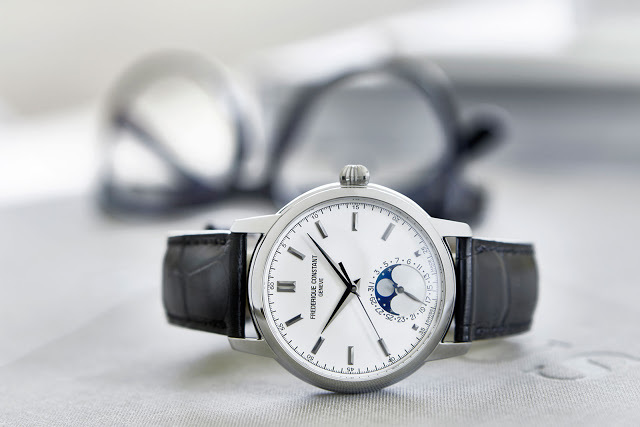 Featuring a moon phase and date indicator, the Frederique Constant Classic Manufacture Moonphase is a simple and affordable timepiece modelled on classic calendar watches of the 1950s. 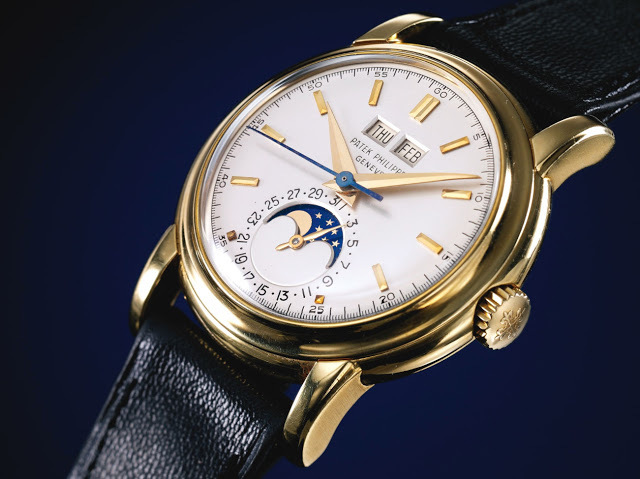 Specifically, it looks just like the Patek Philippe perpetual calendars from the 1950s, the references 2438 and 2497. Not a bad look for $4000. Made for about a decade starting in 1951, the references 2438 and 2497 are exceptionally rare, with only 179 made in total across both models. 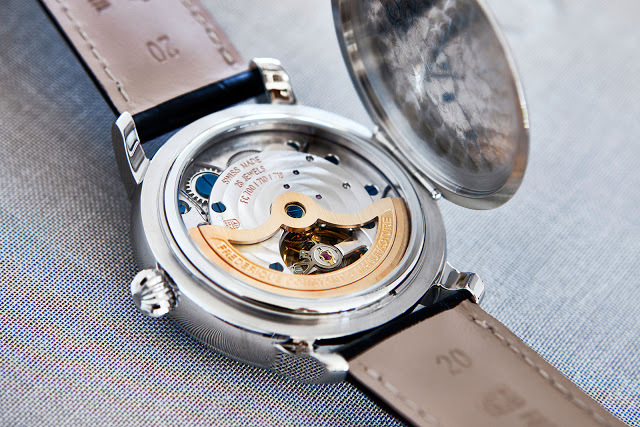 Visually nearly identical, the 2438 is distinguished by its screw-down case back. Because of their rarity, they sell for six figures, a ref. 2497 sold at Sotheby’s earlier in 2015 for SFr250,000. 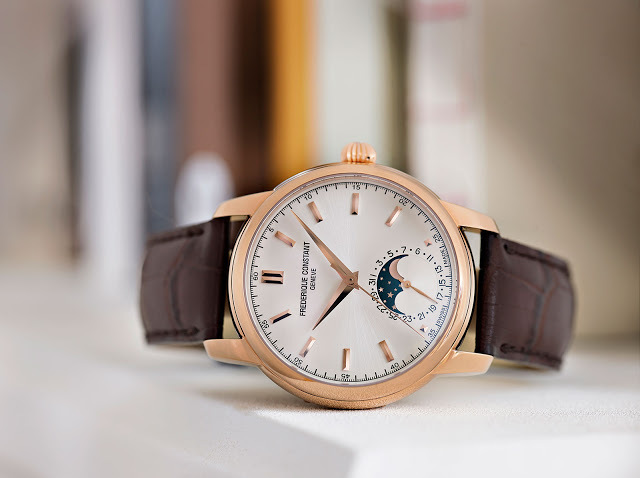 The Classic Manufacture Moonphase looks remarkably similar, with the moon phase and date in the sub-dial at six o’clock, along with a centre seconds hand. Even the minute track and leaf-shaped date hand are modelled on the vintage Patek Philippe perpetual. Perhaps impertinent, the design certainly lacks originality, but it’s an attractive look at an accessible price. 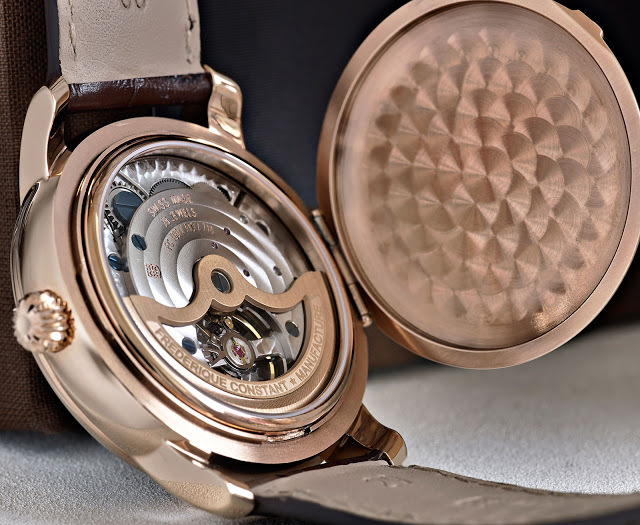 The 40.5mm case is available in steel or rose gold-plating, equipped with the calibre FC-715, a self-winding movement made by Frederique Constant that has a 42 hour power reserve. 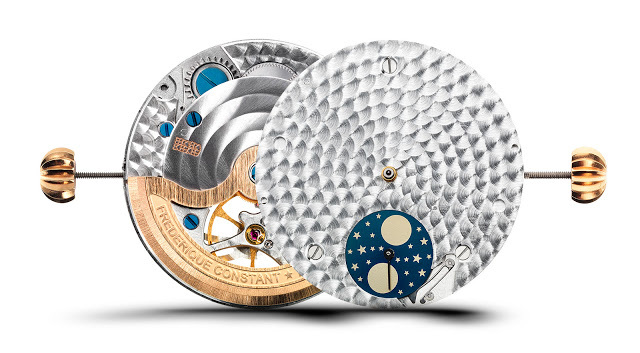 Notably, both the date and moon phase can be adjusted via the crown, removing the traditional pushers in the case used to set such complications. The FC-715 is visible through a sapphire window that’s under a hinged officer-style case back. 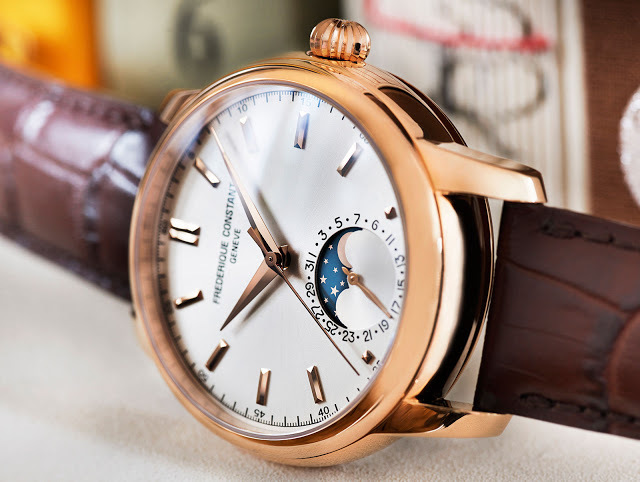 The Classic Manufacture Moonphase is priced at €3495, equivalent to US$3950.